St. Patrick's day History - The real meaning of St. Patrcik's day? This holiday is celebrated every year on March 17th, honoring the Irish patron saint, St. Patrick.The celebrations are largely Irish culture themed and typically consist of wearing green, parades, and drinking. There are a number of traditions to consider that are associated with St Patrick’s Day.In honor of St. Patrick's Day, here are a few interesting St. Patrick's Day facts! St Patrick is known as the patron saint of Ireland. True, he was not a born Irish. But he has become an integral part of the Irish heritage, mostly through his service across Ireland of the 5th century. Patrick was born in the later half of the 4th century AD. There are differing views about the exact year and place of his birth. According to one school of opinion, he was born about 390 A.D., while the other school says it is about 373 AD. Again, his birth place is said to be in either Scotland or Roman England. His real name was probably Maewyn Succat. Though Patricius was his Romanicized name, he was later came to be familiar as Patrick. Patrick was the son of Calpurnius, a Roman-British army officer. He was growing up as naturally as other kids in Britain. However, one day a band of pirates landed in south Wales and kidnapped this boy along with many others. Then they sold him into slavery in Ireland. He was there for 6 years, mostly imprisoned. This was when changes came to him. He dreamed of having seen God. Legend says, he was then dictated by God to escape with a getaway ship. Finally, he did escape and went to Britain. And then to France. There he joined a monastery and studied under St. Germain, the bishop of Auxerre. He spent around 12 years in training. And when he became a bishop he dreamed that the Irish were calling him back to Ireland to tell them about God. The Confessio, Patrick's spiritual autobiography, is the most important document regarding this. It tells of a dream after his return to Britain, in which one Victoricus delivered him a letter headed "The Voice of the Irish." So he set out for Ireland with the Pope's blessings. There he converted the Gaelic Irish, who were then mostly Pagans, to Christianity. He was confident in the Lord, he journeyed far and wide, baptizing and confirming with untiring zeal. And, in a diplomatic fashion he brought gifts to a kinglet here and a lawgiver there,but accepted none from any. Indeed, Patrick was quite successful at winning converts. Through active preaching, he made important converts even among the royal families. And this fact upset the Celtic Druids. Patrick was arrested several times,but escaped each time. For 20 years he had traveled throughout Ireland, establishing monasteries across the country. He also set up schools and churches which would aid him in his conversion. He developed a native clergy, fostered the growth of monasticism, established dioceses, and held church councils. Patrick's doctrine is considered orthodox and has been interpreted as anti-Pelagian. Although he is not particularly noted as a man of learning, a few of his writings remain extant: his Confession, a reply to his detractors, and several letters. The Lorica ("Breastplate"), a famous hymn attributed to Patrick, may date to a later period. By the end of the 7th century Patrick had become a legendary figure, and the legends have continued to grow since then. There are many legends associated with St Patrick. 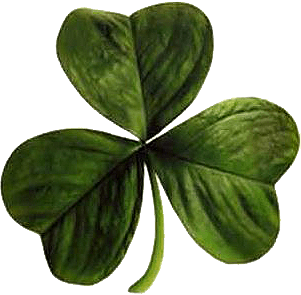 It is said that he used the three-leafed shamrock to explain the concept of the Trinity; which refers to the combination of Father, Son, and the Holy Spirit. Hence its strong association with his day and name Legend also has that, Saint Patrick had put the curse of God on venomous snakes in Ireland. And he drove all the snakes into the sea where they drowned.